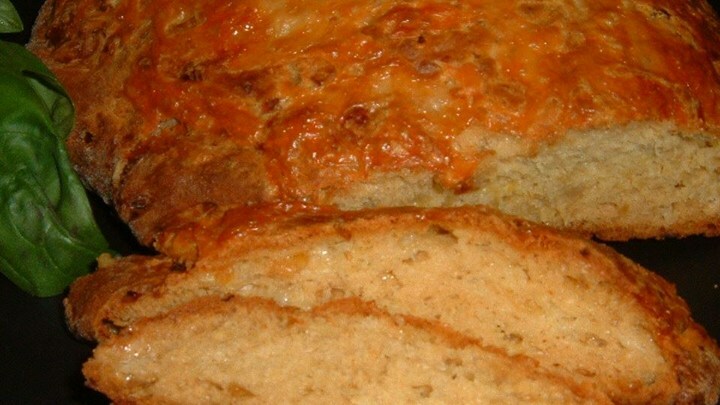 Sharp cheddar cheese combined with tender onions and it 's a quick bread that goes great with green salads or any meal. Preheat oven to 400 degrees F (205 degrees C). Grease one 8 inch round or one 8x8 inch square pan. Combine flour, baking powder and salt, cut in 2 tablespoons of the butter until mixture is crumbly. Stir in 1/2 cup of the grated cheese. Make a well in the center of the mixture. Fry the onion in 1 tablespoon of the butter until clear and golden. Set aside. In a small bowl beat the egg and stir in the milk and the cooked onion. Pour egg mixture into the well in the flour mixture. Stir until just moistened. You will have a soft dough. Pat dough into the prepared pan. Sprinkle remaining 1/2 cup grated cheese over top. Bake at 400 degrees F (205 degrees C) for 25 minutes. Serve hot. Makes about 6 servings.